One of Beijing’s most beloved goodwill workers — Sam Cornthwaite, co-founder of the non-profit corporation GoodWorks Coffee & Tea — died suddenly last night (Sept. 6) after a short illness, sending shockwaves through the city’s expat community. Yesterday, reports began circulating that the 26-year-old had fallen seriously ill with complications from pancreatitis over the weekend. Almost immediately a group of his friends and business associates from Beijing’s food and beverage community formed a WeChat group to help raise funds for his expensive medical care, which had exceeded RMB 100,000 in the short few days he had been in intensive care. A similar fundraising page to help fly his parents to Beijing was set up by a relative on GoFundMe that had raised close to USD 11,000 (RMB 73,400) as of late Tuesday evening. Tragically, Cornthwaite’s health took a turn for the worse and he passed away early Tuesday evening. 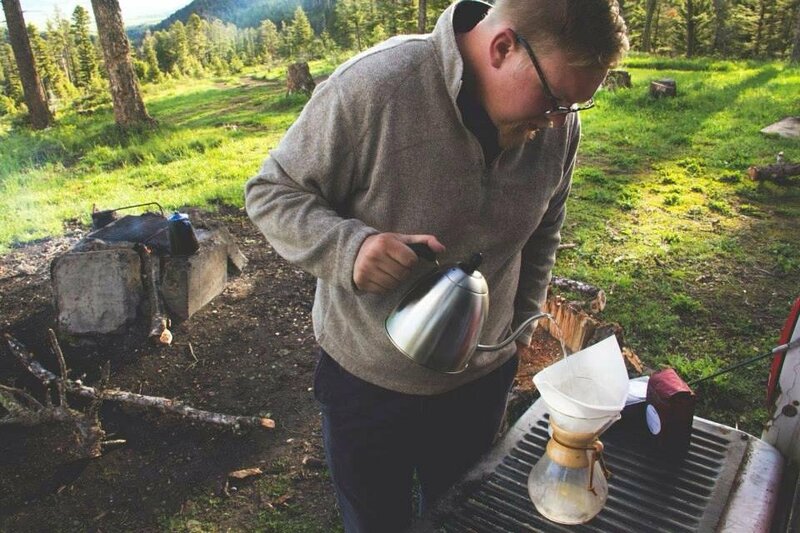 Hailing from Bozeman, a small town in Montana, Cornthwaite first visited China in 2009 in his role as treasurer of a Montana state youth organization and relocated here full time in 2015 to expand GoodWorks with co-founder Richard Elmore. The innovative non-profit’s mission is to offer professional training and jobs in the coffee and tea business to aged-out orphans, at-risk teens, youth with disabilities and other marginalized people. GoodWorks’ products supply a wide range of prominent international restaurants in the city, including Slow Boat, Great Leap, Ahava Bistro, Palms L.A. Kitchen and Napa Artisan Cooking. Cornthwaite was deeply passionate about Beijing’s F&B scene, enthusiastically posting about it — and singing its praises — on WeChat. On weekends he could frequently be found selling bags of his GoodWorks coffee at the Farm to Neighbors market. But it was his social conciousness and mission in life that truly impressed the people whose lives he touched. By October he planned to open a vocational training lab called Makers Workshop in Shunyi, which he envisioned housing GoodWorks coffee and tea roasting along with tea blending and espresso training programs for marginalized people. Before making his mark in Beijing, Cornthwaite also lived a vibrant life back in the US, showing an entrepreneurial streak at an early age. By 17 he had built his own business selling custom-made fly fishing rods. Despite his short time in Beijing, Cornthwaite made an outsized impact with his work and relationship building skills. He was universally praised by those he dealt with as a spiritual, selfless and driven individual. “We… need people like that around us while we try to ‘get the job done’ to remind us that there is much more to it,” Horowitz said. Cornthwaite was a regular member of the Congregation of the Good Shepherd, where his sister Hannah is pastor. Hannah announced her sibling’s passing at midnight in the WeChat group dedicated to raising funds to cover his medical bills and funeral costs. “Sam fought really hard and I held his hand the whole way,” she posted. “It’s the worst day, but I’m so grateful for the family we both have here that has helped us and will continue helping me and my family into this transition. “I love each of you, though many of you I only know because of the impact Sam has had in this place, and please know I have felt your love through this all and share all your messages and love with Sam today,” she stated. The fundraising campaign now aims to assist his family with his repatriation and other related expenses. Those wishing to donate can do so here. “We are still in need of covering a great deal of costs, if you’ve given or give it will go to helping my family bring Sam home to the mountains and rivers he so loved,” Hannah posted. This post first appeared on our sister site, thebeijinger.com.